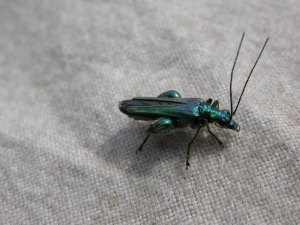 Observation - Fat-legged Flower Beetle - UK and Ireland. Description: ...but who am I to talk? ...but who am I to talk?